Wow! Great floorplan, Great view, Great home! This 3 bedroom/2 full bath pool home with 1,655 sq ft is completely fenced and has a private wooded view. 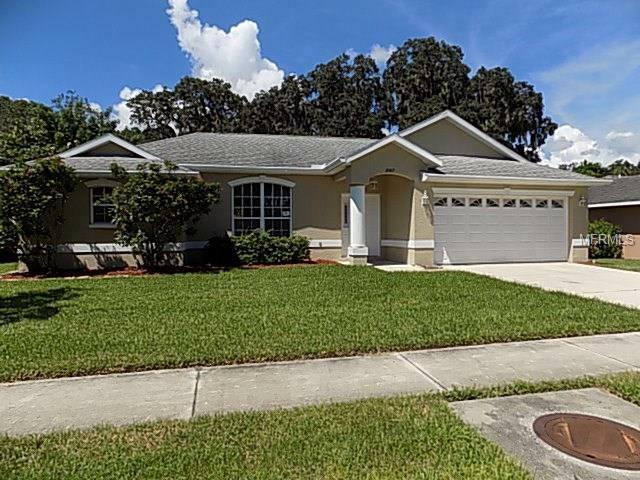 Cathedral ceilings, screened lanai with pool AND hot tub, family room AND formal living room, NEW paint, NEW carpet, NEW appliances, split plan, 2 car garage, 2nd bathroom has access to pool area, kitchen has a pass thru window to the pool area, plant shelves and so much more! Quick and easy access to shops, restaurants, schools, hospital and interstate.